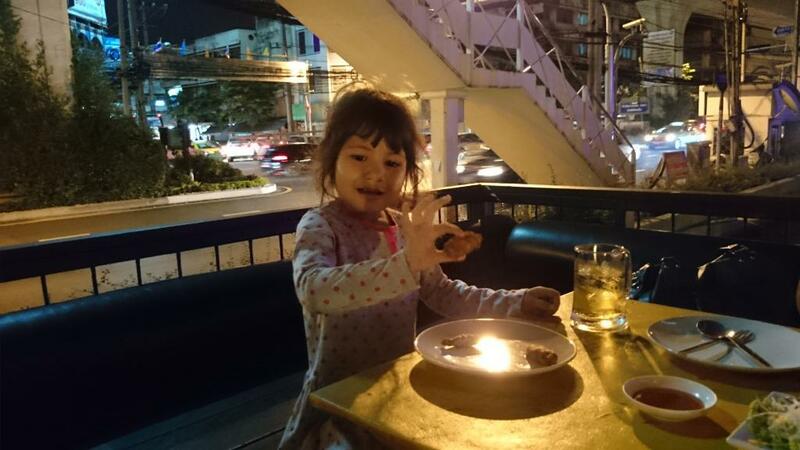 Thread: What to do with a 4 year old daughter on a Saturday in Bangkok? I'm thinking of a bit of fun for her, a Waterpark or similar. The missus has mentioned DreamWorld, but I have a friend who panned it. Other suggestions like indoor activities are welcome in case the inevitable happens and it passes down again. Take her to Chatuchak and show her the animals for sale. Buy her something nice. A cockatoo can be bought for about 150,000 baht. Or for half that price you could fly here and I will help her shoot a dozen for free! lots to see and do plus the added advantage that the little girl will be shagged at the end of it. At that age, think short activities. Try the aquarium Ocean world (??) at siam (center or paragon??) in late the morning, then dusit zoo in the afternoon (ride the tram). If it rains, wander around the shopping center..
4 yrs old is a bit young to be jostling and walking around Chattuchak. She would be begging to be carried in no time. There is a nice waterpark on the top floor of the Mall Bangkapi. Besides that theres loads of kid's games and activities plus lots of movies if so inclined. Take her to Dusit Zoo. Dusit Zoo is great. Crowded on Saturday though. No probs, she will still enjoy it. If she likes bananas, they will keep her for the weekend and you can go to Soi Cowboy. Take your daughter upto the crocadile farm in BKK, there's a train thats takes you around and there's elephants doing tricks , good day out and some big crocs . Swerve Dreamworld, she's a bit too young, from experience of taking my son there. This was my idea too. Her eyes will open wider than you have ever seen. Catch a water taxi. Buy her an ice cream, visit a temple. There's a shell museum down bottom of sathorn. All fun thing s for kids. or you could do a chav style kiddies day out. Mc D's, Swensons then a bar with a video game. Grand idea, surround her with vibrant colours and noises and activity, control costs, and then haul her away pleasantly worn out. A walk in the park. Sent you a PM. a boat ride + an ice-cream. and then the zoo. Well, how did today go Dillinger? Are you still alive? ^^In the dog house here for not coming home til 4am this morning and sleeping til 1pm at which time the heavens opened. ^ She is a cutie, and clearly saying "my dad is a piss heead, and all I got is a piece of fried bleeding chicken".